ROCK CITY is an enormous, multi acre, multimedia art installation and performance piece by Matthew Patrick. The images were created by projecting light onto the boulders, so you can walk through this otherworldly experience in real time. No photoshop was used. I covered The Flatbush Zombies at a NYC downtown pop up. Welcome to the Rock City film set. New images and older images with new prints, will be periodically shifted in and out of this slideshows. I have been photographing Sandie since 1992. 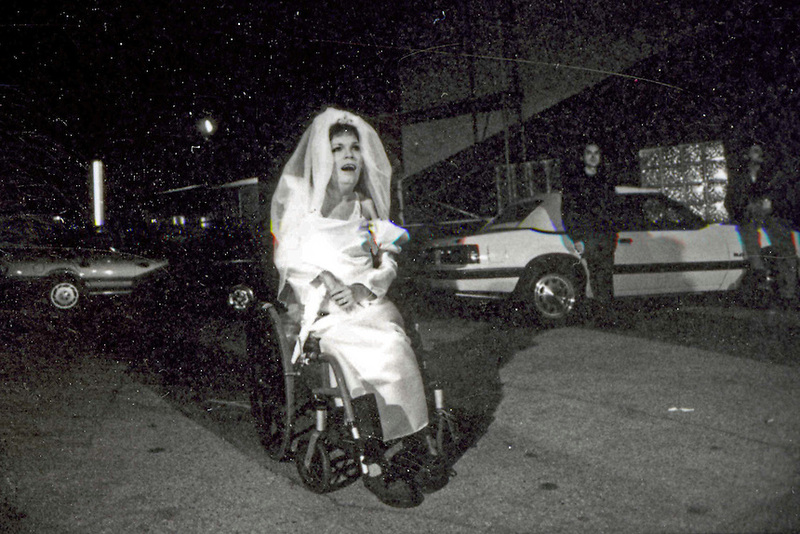 She’s a physically disabled, pre-op transsexual, actress, performer and MC. Known at the Goddess Bunnie, she is a notorious figure in the Los Angeles underground art scene. She’s the strongest, bravest person I know, though I have had to help her out of many a jam. Sandie is featured in Marylyn Manson’s “Dope Show” video, has performed on the MTV awards, was a guest on Howard Stern, is the subject of numerous documentaries and magazine articles, and has been cast in Hollywood movies.